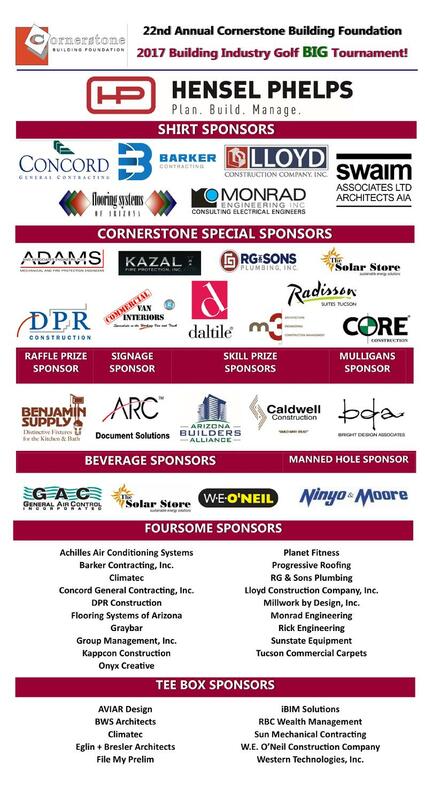 Proceeds from the BIG Tournament go to the Cornerstone Building Foundation, the education programs of the University of Arizona, Arizona Builders' Alliance, Pima Community College, TUSD, and others. More than $150,000 has been donated for construction related programs and scholarships since the first BIG Tournament held in 1996. Thank you to all who participated in the 2017 tournament!